> The ability to apply for school and association charters. 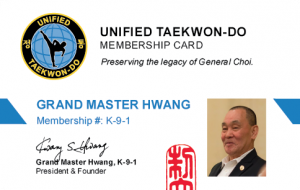 > The opportunity to attend international events taught by Grand Master Hwang and dedicated Unified Masters and Instructors around the world. 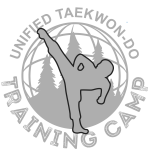 > The ability to earn internationally recognized certificates: Dan, Instructor, and Umpire certificates. Join now to be part of the international Unified community! Pay the membership fee via PayPal. Select “Return to Merchant” on the payment confirmation page. Complete the membership information form and submit. Once we’ve received your application, we will mail you your membership card.